I never thought dressing like my mom in the eighties was going to feel this good. Dang it, these high-waisted straight-legged jeans are awesome. In the past year or so I really became a jeans wearer and I expanded my collection from one sad pair of blue jeans to about five. I love how much more wear I get out of my tops, blouses and sweaters now! Most of my jeans are a skinny fit and I have grown tired of wearing the same style almost every day. In the beginning I was a member of the Mom Jeans Skeptics Club. To me, mom jeans were another one of those one season wonders, difficult to style and a fit that only the cool kids could pull off. After seeing a few girls style them in basic looks on Pinterest, I realized their potential and hit the High Street to find my perfect pair. I love a good wardrobe classic and I think we all know the Levis 501 is the mother of all mom jeans. I went to the Levis store, tried them on and fell in L-O-V-E. So far I’ve styled them with my lace top and Vans over the summer and later I shared an Instagram with my silk blouse as well. I also took a walk on the wild side and paired it with a boxy tee and Vans. TMy mom Jeans also worked unexpectedly well with a roll-neck + blazer! 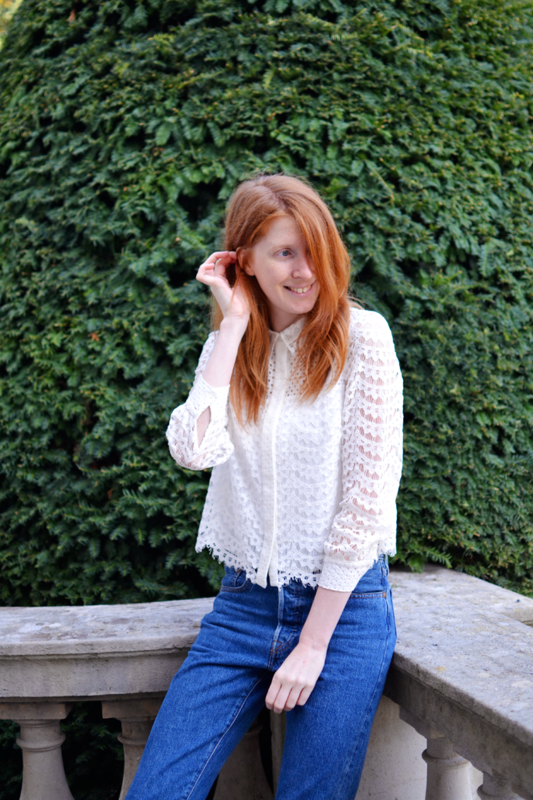 You wear denim so well – i think it’s because you have the prettiest tops to pair with it! I really need to branch out more with my denim choices – I’ve been downsizing my collection but it just means that they are almost all skinny jeans now, haha! Not very adventurous! Hope you’re having a nice start to the week. Nice and warm here today, a welcome change from the rain last week!